For people with an adventurous heart. 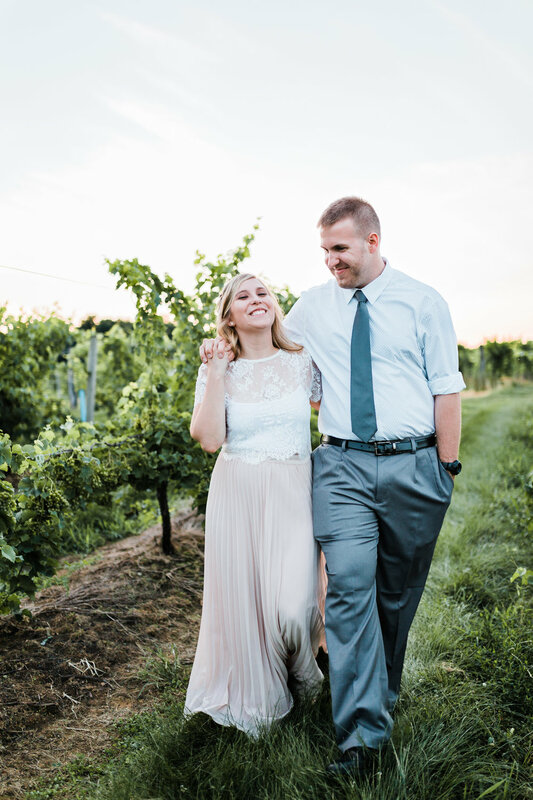 It is almost impossible to know where to start when looking back on Shannon and Andrew’s engagement session! We are unbelievably behind on blogging once we hit our super busy season during the summer but this session is still so clear in our minds and not one we will soon forget! As many of you know, the weather in Maryland, the general DMV area, and Pennsylvania has been so STRANGE this year with just endless rain. 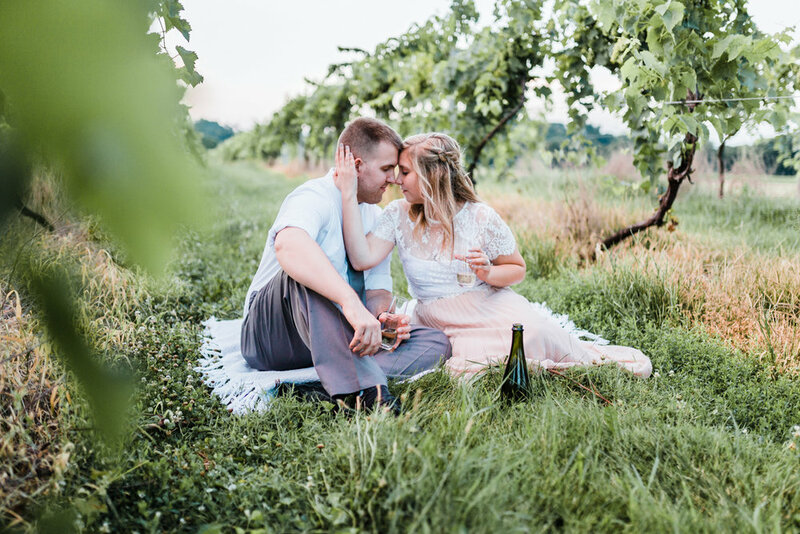 We had finally gotten an absolutely gorgeous day to do Shannon and Andrew’s enagagement session at this AMAZING location that we were all so excited to go out to! Well, we got there (or so we thought) and sort of got lost trying to figure out how exactly to get to this magical location since it was sort of a hike. After talking to some locals, we arrived at the right spot to start our walk and the trail was UNDER WATER (yes, seriously!). So, being that this dream location was about an hour and a half away from where both of us lived, we decided we weren’t going to let Shannon’s beautiful hair and makeup go to waste, so we improvised! I started hastily searching for spots on the map close by and found a vineyard! 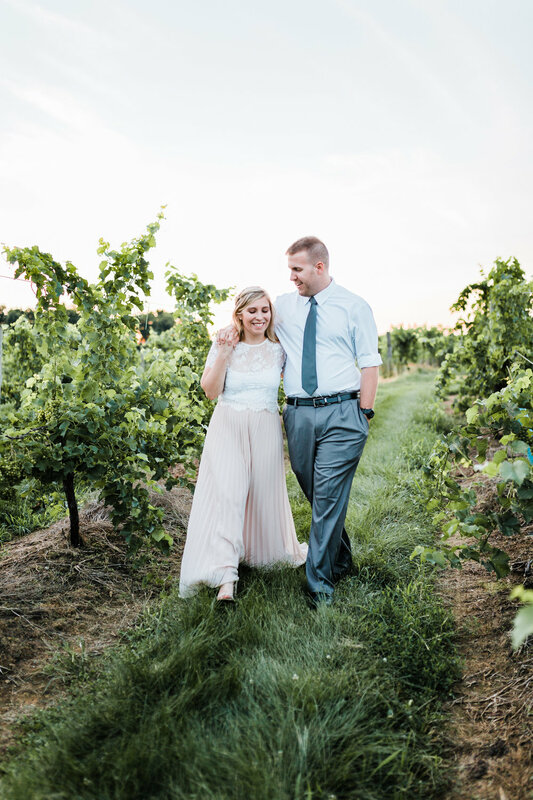 We tried to drive in to the vineyard to ask if we could use their barns and cute buildings as backgrounds and there was an event of at least 1,000 people going on so that didn’t work! 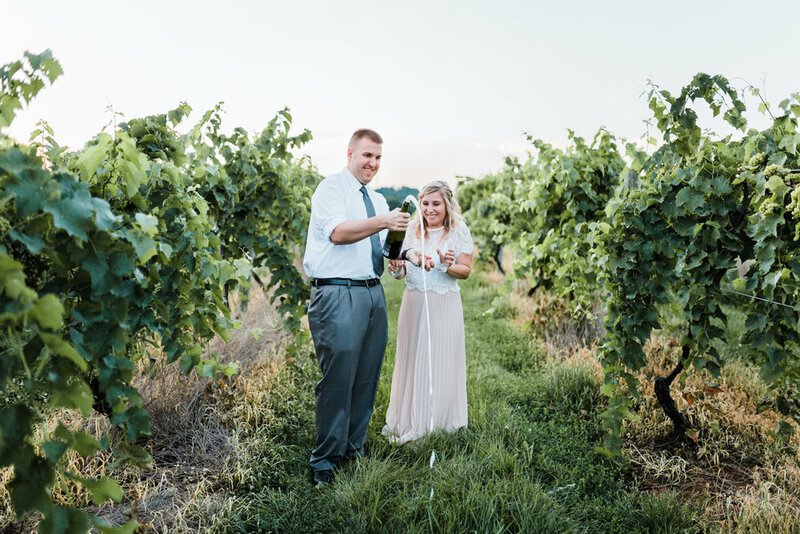 As we drove away, a patch of their vines was in a beautiful spot and away from the crowd so we pulled off on the side of the road and got these totally adorable moments between Shannon and Andrew, despite having to go with a spur-of-the-moment Plan B. 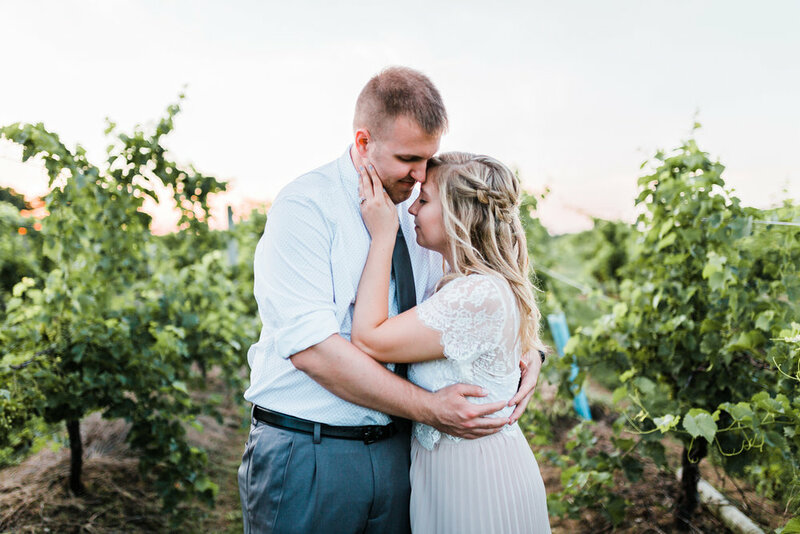 We mean it when we say how BLESSED we are to work with all of our couples and especially couples like Shannon and Andrew. These two are incredible people, so sweet, and have become two wonderful friends that we hope to have many more years with!